If you were a TV host with a huge gig on the horizon — the ding dang Olympics — you might make an appointment to get a little freshen up with the cosmetic surgeon. Who could blame you? You want to look your best when the whole world is watching. But what if something went wrong and your eyes got red and your vision got blurry? That's what allegedly happened to Bob Costas, a source tells Page Six: "Bob's eye infection was due to botched Botox. This isn't the first time he's had it." Damn, Bob. Pretty Hurts. According to the Botox website, side effects include "dry mouth, discomfort or pain at the injection site, tiredness, headache, neck pain, and eye problems: double vision, blurred vision, decreased eyesight, drooping eyelids, swelling of your eyelids, and dry eyes." A Google search of "Botox red eyes" turns up over one million results. Could it be? 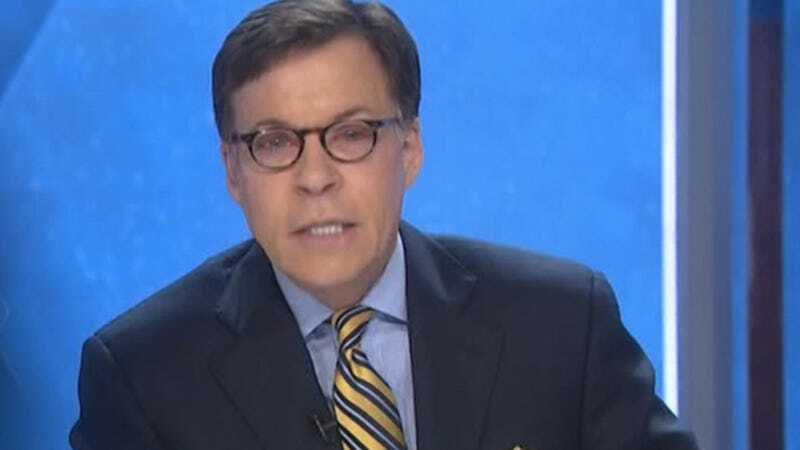 Could Botox have made Bob Costas lose the gold medal in hosting? Was vanity his downfall? Was an injectable toxin the wax on his wings as he flew too close to the sun? No. No no no. NBC denies, denies, denies that this is what happened. A spokesperson from NBC Sports insisted to us, "This has zero truth to this. Zero." But does the NBC spokesperson know what Bob Costas is doing behind closed dermatologist office doors? I think not. Although, as a coworker pointed out: "This story would be more believable if it involved Matt Lauer."